Volvo Cars and Polestar have introduced a new electrified performance upgrade programme called Polestar Engineered, which will first be offered for T8 Twin Engine versions of the Volvo S60. The Swedish carmaker has yet to reveal the sedan, but we’ve already seen plenty of its wagon version, the V60. With Polestar Engineered, various aspects of the car like the wheels, brakes, suspension and engine control unit are improved using Polestar’s performance engineering expertise. “Electric cars are our future. Today starts a new era of Volvo electrified models enhanced by Polestar’s performance engineering prowess. This strategy is firmly grounded in our shared belief in an electric future for the car industry,” said Håkan Samuelsson, president and CEO at Volvo Cars. According to Volvo, S60 models that receive the Polestar Engineered treatment are positioned above its R-Design versions. These cars are identified by their gold-painted brake calipers and seat belts, with other changes being lightweight wheels, Polestar emblems and black chrome exhaust pipes. Performance revisions include Brembo brake calipers coupled with slotted discs and high-performance brake pads. The suspension system also gets improved Öhlins shock absorbers with a dual-flow valve and a new strut bar, both being designs shared with the Polestar 1 plug-in hybrid performance car. Last but not least, tweaks to the engine control unit in the T8 Twin Engine powertrain help increase output to 415 hp and 670 Nm of torque, which is a tad bit more than the stock 400 hp and 640 Nm. The eight-speed automatic gearbox also undergoes further refinement to match the additional power. “The new S60 T8 Polestar Engineered is an electrified car that does what you want it to. All components have been fine-tuned to work together, delivering a responsive and exciting driver’s car,” said Henrik Green, senior vice president of research and development at Volvo Cars. Polestar Engineered will also be offered on the V60 and XC60 from next year. 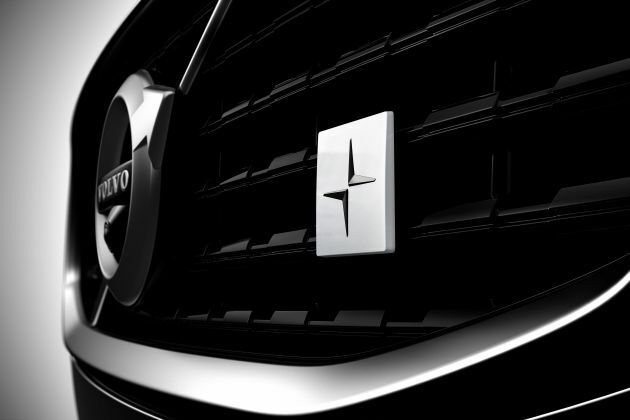 Volvo says the announcement of Polestar Engineered comes one week before the new S60 makes its global debut at the inauguration of the brand’s first United States manufacturing plant in Charleston, South Carolina. The plant is the sole production site for the new S60, which is the first Volvo car made in the US, and will be followed by the next-gen XC90 in the future. Err, which part of the CX3 is high tech? I laugh until my stomach ache !! Implying LOW TECH & LOW CLASS CX3 actually. What a piece of Junk CX3 .!! Will sell well in USA. The design of the rear side is very much American. The Power of this S60 can trash and TAR PAU any Mazda especially CX3 junk anytime..
We pencen people buy all this sporty stuff for our Volvo but cannot really push hard because our bones are so weak.